A public meeting is being held on Wednesday, January 10th, 2018 with an open house at 6:30 PM, and a presentation at 7:00 PM at the Goulbourn Recreation Complex (Hall A), located at 1500 Shea Road. For additional information, you can visit my website here. 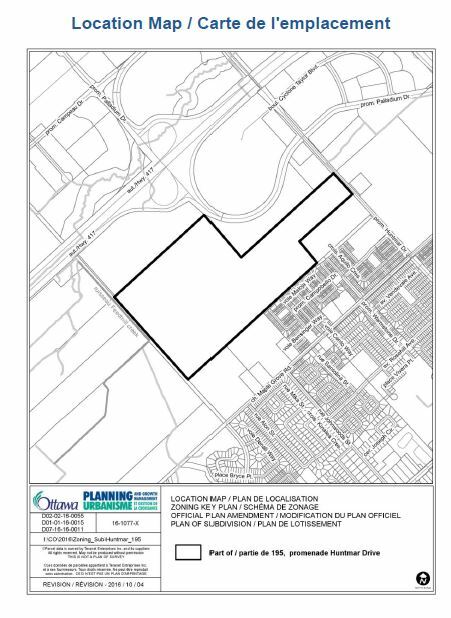 Please note that in the future a revised Concept Plan for the subdivision will be available on my website and on www.ottawa.ca/devapps . For more information, please contact myself and City Planner Louise Sweet at 613-580-2424 ext. 27586 or Louise.Sweet@ottawa.ca .